Place the butter in a pan and melt over low heat. Add the sugar and carrots and cook for a few minutes. Salt and pepper to taste. Serve with a sprig of Chinese parsley and enjoy! You can use honey instead of sugar. These carrots cook quickly because they’re tender, so cook them for less than 15 minutes. 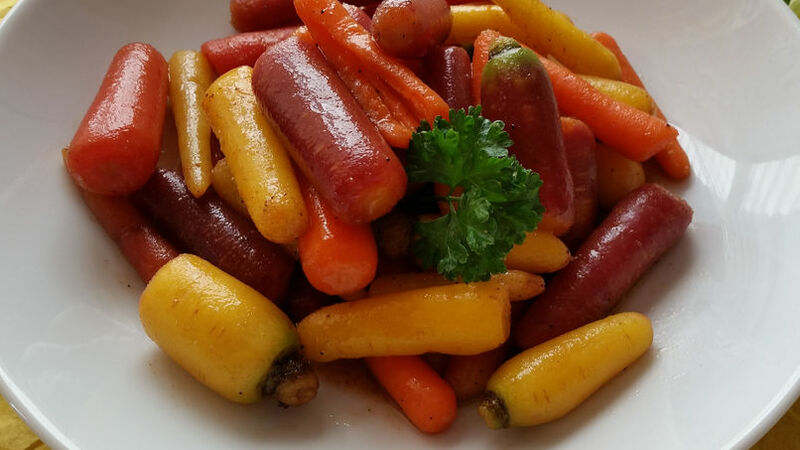 I love baby carrots, especially those that come in yellow, orange and purple. These carrots are now in season and they make a great side dish when served with meat and fish, you can even add them to pasta. They add a very pretty color to any dish and will be a great surprise to your family when they see the special dish you’ve prepared.